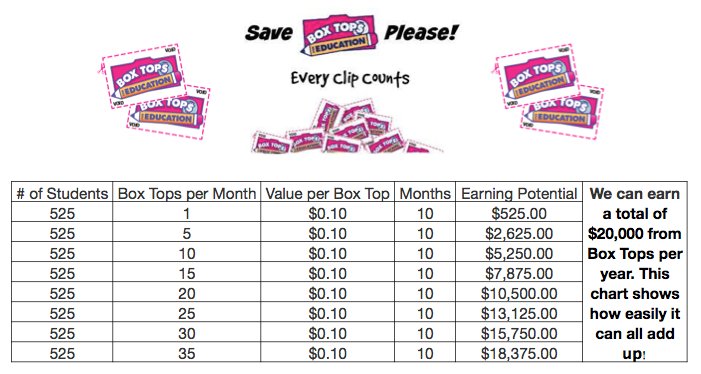 Home » News & Events » Don’t forget to clip your Box Tops for Education! Manchester receives funds from the Box Tops for Education program. Don’t forget to look around your house for goods that contain the “box tops” and clip them off. Send them to school with your child for collection. If you have any questions, feel free to contact a member of the Box Tops committee! Remember, the Box Tops can be found on many household goods — and aren’t necessarily just on boxes! Our next deadline will be in early 2019! Be sure to turn those Box Tops in to the new Box Top Mailbox located near the office!